PRAISE for Commissioner of Police Gary Griffith has come from the judiciary. Justice Frank Seepersad described him as a ray of hope in a country of murders and robberies. But he warned that the trust and confidence Griffith was winning must not be hindered by rogue elements in the police, like the policeman who cuffed Nicholas Mark Guerra, 34, so hard in the face that he blinded him in the left eye. Seepersad ordered damages be assessed for Guerra, of Penal Rock Road. Finding as a fact that he was cuffed repeatedly and unprovoked by the policeman, the judge awarded Guerra $75,000 in exemplary damages. The incident happened on the night of June 28, 2013. 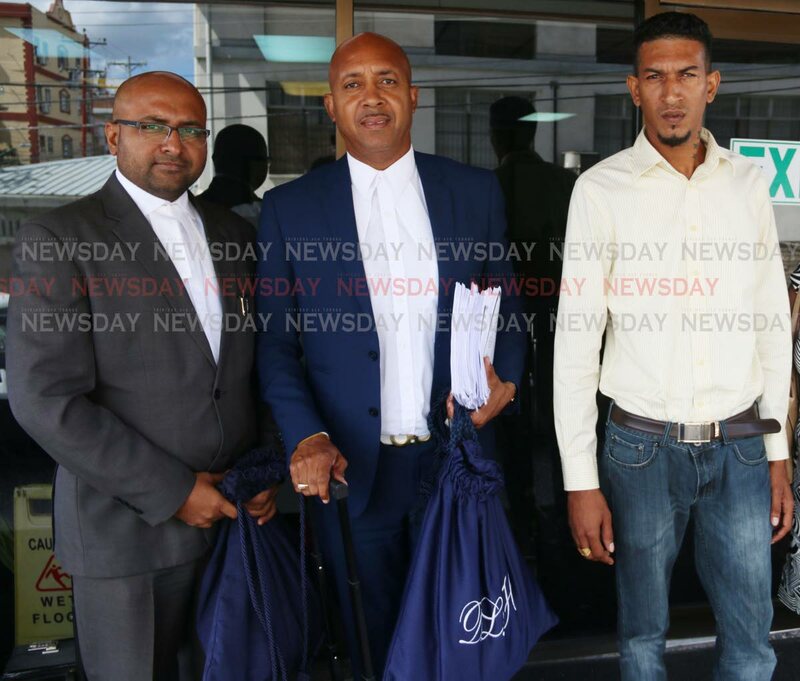 Delivering judgment today after Guerra, his mother Chandra Maharaj and the police officer testified in the San Fernando High Court, Seepersad commented that if CoP Griffith's success is to be assured, the symbiotic relationship between police and citizens must continue to improve. The judge said, "After the prolonged period of darkness inflicted upon this republic by a cloud of rampant criminality, rays of hope seem to be visible, as encouraging progress has been recently made in relation to kidnapping and narcotic offences. These measured but welcome developments may be attributable to the fearless, innovative, unorthodox, invested and no-tolerance approach adopted by the new commissioner of police." Guerra, his mother and friends were liming at A&R Restaurant & Bar, Penal Rock Road, when police entered. Guerra was confronted, searched and arrested. While being put in a police vehicle, Guerra asked why he was arrested. The policeman began to punch him in the left eye and only stopped when Guerra felt a warm liquid running down his cheeks. The State challenged the allegation. Seepersad completed the trial after Guerra, the mother and one of the officers testified. Attorney Lester Chariah, instructed by attorney Dane Halls, represented Guerra. Assistant Solicitor General Neil Byam argued the case for the State. Seepersad renewed his call for disciplinary action to be taken against police who act in such a high-handed manner. In fact, he recommended that instead of taxpayers footing the bill, the money the court awards in such cases should be deducted from their salary. "The irony that these awards are ultimately paid by taxpayers and not by the complicit officers, has to be acknowledged and addressed," he said. "Whenever judges of the Supreme Court make such awards, disciplinary action against the offending officers should be mandatory and the sums awarded should, with the enactment or amendment of the necessary regulatory laws, be deducted from the officers’ remuneration." Seepersad said he found as a fact, that the force used against Guerra was excessive. "The abuse of lawful authority by police officers, as that which occurred on the factual matrix before this court, contributed in part to the deterioration in the public’s trust and confidence in the service over the last few years." Reply to "Judge backs CoP"